BLOOMBERG MARKETS: When people look at your CV, one of the things that pops out is that you have four degrees—in politics, economics, law, and business. Why did you choose to take all those degrees when normal people make do with one or two, or maybe even none? YNGVE SLYNGSTAD: Yes, and the best part of it is that most of my studies were actually in philosophy, and I never put that on my CV—that I have a degree in philosophy—at all. Why did I do all of these degrees? I would simply say that’s just a reflection of curiosity, a genuine desire to learn, and to read a lot of books. I don’t think you necessarily need to narrow down your profession, definitely not in investing. Investing is really something that is broad. It’s all about the future, so having an open mind probably was the most important thing for me. BM: Was there a sense while you were getting all of these degrees that you were working toward becoming an investor? Or were you searching for something to do in life? YS: I did law school first, and after finishing that I decided that was not going to be my profession. After studying and taking an MBA, I think finance was one of the options but not necessarily the only one. BM: What was more interesting to you about finance than law? YS: Finance is a privileged area to work in because it’s a gravitational field for everything that goes on in society—both that it’s so much about looking forward to what is really happening next and the fact that every dimension of how society is put together is reflected in the very prices of these securities. It’s a clear link to the underlying broad economy. So I always say you must never lose the real vision as you’re investing. It is not about paper. You’re investing in the actual real economic activity. BM: As you think back on your career, was there one particular investor or philosophy that influenced you or inspired you? YS: Not really. 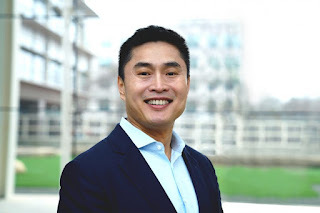 I had the privilege quite early, before I started working in the fund, to be assigned the Asian equity portfolio of Storebrand’s life insurance company. Most of the money there was sent out to external managers, and through that search process I saw that there are so many ways to look at this job. We also were always open to [allowing] the people working here to pursue their own investment style, to use what is their best ability, whether that’s getting direct information from company management or whether that’s doing all the numbers. 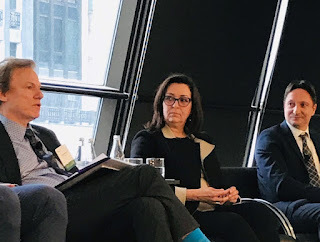 BM: What do you think is different today in terms of managing money vs. how it was when you started off at the fund in 1998 or even earlier at Storebrand? YS: It is still about information processing, but the amount of information that is available is of course increasing every year, and the frequency of that information is just getting faster and faster. You have to cut through that and find what is essential. With this kind of a skill set it is very difficult to see who has got it and who hasn’t got that ability, but I think it’s one way of distinguishing. BM: Do you have a list in your mind of the essential things you’re looking for? YS: We tend to shy away from the storytellers and look for those who are numbers-focused. But [we] also [look for] those who are very conscious about which decisions were made for which reasons and why they were wrong in some aspects and right in maybe others. It’s kind of an inquisitive process to be an investor, and that means that you have to find someone who’s got an inquisitive mind. BM: How is the advance of technology and AI changing investing? YS: My own guess is that it’s going to dramatically change quantitative investing and particularly risk-factor investing, probably more so than traditional active management. BM: You said you were looking at Big Tech and how its dominance affects society. Is that something that you could shed some more light on? YS: Well, some of our largest investments are in the large [technology companies]—Facebook, Alphabet, Tencent, Alibaba, etc.—and part of their business model is capturing information and monetizing the value of that information. It is, at least for me, reasonably obvious that, in a democratic society, who sits on information and how it is used is something that the political process needs to somehow have a close survey of. And probably, at one stage, that will mean some type of regulation. I don’t think we’ve found a balance for how this information gathering should be regulated. BM: Do you see that as an investment risk in these companies? YS: The question is how much is already priced in. It isn’t viable in most businesses to sit on a monopoly for a long time but certainly not monopolies on information. BM: What do you make of their share prices? YS: The first thing to note is the size of these companies relative to the market in general. When you see the market cap of Facebook surpassing the combined market cap of Russia—and Amazon actually crossed the combined market cap of Brazil—it just tells you that it’s well worth spending more time thinking about how these companies affect how the economy is working and about their long-term profitability, rather than spending too much time on geopolitical risk or the risk of a country having some difficulties for the moment. It’s the development of how the economy is put together rather than the simple political issues of the day that we try to focus on. BM: Are they fairly valued? YS: There’s no doubt that companies that come up with new technologies that are disrupting other industries and how we put together our economy will see large fluctuations in market values. There’s nothing to be surprised at that these internet giants are swinging plus-minus 30 percent in market value. I wouldn’t speculate on what is a fair price for these companies. BM: Some of these companies—Alibaba, Tencent—are operating in China. What is your view on the opportunity in the Chinese market? YS: Our starting point is that we want to capture the whole world economy and the value creation that you see in that economy. Our combined investment in China at this stage is less than 3 percent of our portfolio. I think over time, given that the Chinese GDP is a much higher percentage of [the world economy], it’s natural that we will invest quite a lot more in the Chinese market. We’ve said that for a while, and if you’d asked me 10 years ago I would have expected that we would have a higher percentage of our fund’s investment in China today than what we actually have. The development of the market and our investment there have been less rapid than what I thought, despite the fact that the trajectory of the Chinese economy has been around 7 percent growth a year. The consequence of that may of course be that it will take a longer time for us to get the investments into the Chinese market to the scale that is relative to the size of the economy. That depends more on how the Chinese authorities decide to develop their market than it depends on how we are perceiving the growth of the economy. BM: If the investing pace hasn’t been as rapid as you envisioned, is it because of structural issues that limit foreign holdings in China? Or because the opportunity set isn’t what you thought it would be? YS: There are so many decisions that are in the political area, like the role of state-owned enterprises, that have to be carefully considered by investors. But I think one quite obvious question that most foreign investors are asking about the Chinese market and Chinese companies is: How much will they actually pay in dividends? So far the payout ratio has been quite restrictive relative to the companies in other parts of the world. This is one of the things that probably foreign investors will be looking at more carefully in regard to their investments in China. The second issue with regard to the Chinese market is corporate governance. Which is of course a key concern for us in all markets but especially in new markets. BM: What corporate governance issues concern you? YS: That differs from one company to another. Our whole work on corporate governance goes from the equal treatment of shareholders to how boards are run and managed, so it’s a whole range of issues. BM: How much time have you spent in China? YS: The first time I went there was back in ’87, for a whole week traveling around the country. The last time I went was two weeks ago, and the next time I go there is two weeks from now. So yes, I’ve spent some time in China, and I think it’s necessary. What moves the markets today is to a large extent either events in the U.S. or events in China. So these are two markets that you just have to pay very close attention to. BM: What is your typical itinerary like when you visit China? YS: Actually there are typically two different ones: basically four days in Beijing of just meetings, or five days of traveling and trying to see as many companies as possible—and definitely not going to the large cities like Beijing, Shanghai, Shenzhen. You stay away from those and go to the rest of the country. It’s an enormously large country, which I think most people ignore when they go. BM: Is it really necessary for you, the CEO, to go and visit small companies on the ground? YS: In my view, absolutely. It doesn’t necessarily matter which exact ones you’re meeting, but you have to always remind yourself that you’re investing in actual businesses with production facilities that make things, products and services. You really have to put all of the bits and pieces together and see if you can somehow make a combined picture from these smaller parts, rather than trying to take a top-down view. I think that’s reflected in the way that I put together the fund management organization. It’s around 100 external and nearly 150 internal portfolio managers, and each makes their individual investment decisions. There are very few top-down views with regard to how they see the world. A small company in a small country may give you more insight into how the world economy is developing than spending some time in the latest production data from a larger company. BM: What has been the most amazing insight that you’ve come back with? YS: Every time I go, I get our people in the China office to set up an itinerary based on a specific theme. [In 2017] it was automation and [in 2018] global production chains. The insight from automation was from a reasonably small town in China—reasonably small in this context is 3 million people. According to the local government, [the town’s] 414 shoe producers produce more than 1 billion shoes a year. Most of the better players there intend to automate the production process. I check the numbers and the statistics, and it shows that China is taking a larger and larger share of shoe production. While the common view has been that China will upgrade in the value chain and let the production of shoes and textiles go to Bangladesh, Vietnam, etc., it may not actually be happening. And it’s only by going there that you will reach that sort of conclusion about how the world economy will develop. That has huge consequences for both those emerging markets and the way you then think about China. You wouldn’t get that from production statistics or macroeconomic data. You do get it just by showing up in a relatively small city that has the largest shoe producers in the world. BM: Then you look for the company that makes shoe automation machines to invest in? YS: So the people I travel with are analysts or China portfolio managers. They will see which of these will be the winner and which are fine to invest in. I will take in the other aspect: What does that actually mean for the rest of the portfolio? Is that going to be a challenge for an emerging market if they do not get that extra production? BM: A visit to China could make you more negative on Vietnam or the prospects of India? YS: Yes. That’s the point. BM: One of the things we hear a lot about is leverage that’s built up in China’s lending market—the banking system and then the shadow banking system. How do you assess those types of risks in an economy? YS: Do we actually sit down and try to analyze what is happening with the whole funding, with the Chinese economy, the shadow banking, some people call it, unsecured lending? Yes, of course. But again, our view on the market is rarely top-down to that extent. We try to find someone who’s actually working in that area, a company in that area, and see what is really going on there. We have found it’s very useful to have a Shanghai office, a person who’s looking at that operation and the banking sector, spending at least half his time on the other types of financing that have been going on in China for the last few years. Of course it’s a big issue. We don’t have a full overview of that. I wouldn’t make any statements as to where we are in the credit cycle in China. BM: The other risk is obviously what’s going on with the trade disputes with the U.S. You have said that you see a potential risk of two global supply chains emerging from this dispute. Who do you think would be the biggest losers or winners from a disruption of the system that we’ve had? YS: Currently, the Chinese economy and the U.S. economy are very intertwined. It is hard to see how it can be unwound, which I think is a very positive thing in the bigger scheme of things. But if even on a smaller scale companies start to diversify their production—which already is happening—and that is combined with the move toward more automation, that will mean quite a lot of new investments for all of the companies. Which, of course, will affect their profitability. It’s not necessarily easy to see what is the short-term and the long-term effect of all those things. BM: What are you anticipating? YS: In November I had a trip to China to look into the specific issue with regards to the production chain. We visited companies such as Foxconn and many other semiconductor producers. There’s a division of labor between the U.S. and China and benefits from the global production chain in key components that I think will lead, more or less by economic logic and necessity, to a mutually beneficial relationship between those two large economies. The thought of disintegration to regional production chains I think is less likely. From our perspective, as a long-term-oriented fund, the big driver of the economy and of our investment results is development in technology more than political decisions. Most of the people in the market will now typically say the biggest risks will be trade disputes between China and the U.S., the status of the EU and Brexit, and the fiscal strength of some of the countries. But in a longer-term perspective, I don’t think any of those risks are high on our agenda. BM: You have large investments in the U.K., so how concerned are you about the uncertainty surrounding the Brexit deadline at the end of March? YS: We should have expected two years ago that the peak of this uncertainty would be in March 2019. The longer perspective in our view is still that we are invested in the U.K. with a long-term horizon. How much we will invest will not be changed depending on the result of this development. If we look past this—10, 20, 30 years—the U.K. will be an important economy in Europe, and it will remain in Europe. We expect business on that timeline to develop positively no matter the outcome. BM: When you have $1 trillion in assets, how does it work on a practical basis? YS: The most important decision for us is really the split between fixed income and equities. We’re operating for all practical purposes in the public markets. Yes, we have some real estate, but in the big scheme of things it’s equities and fixed income. And we have got from the owners of the fund—the Norwegian people and through their representatives in the parliament and the execution of the mandate—a risk preference which basically says 70 percent equities and 30 percent government bonds. But we have quite a lot of leeway in how we put that together. So the first real decision in regard to all this macro information is: Are we comfortable with the equity market as of today, with regard to all these trends that we see coming in the next 5, 10, 15 years? It’s not like we’re not looking at anything that is top-down, it’s just that we have to see how confident we are. And some of these decisions are quite large, like not only how much do you have in equities vs. bonds, but what kind of regional division do you have more or less in emerging markets, etc.? 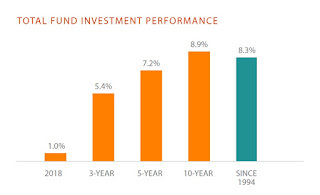 That is not for any kind of trading view to implement for the next three months, but it may be for how we think about the fund in the three- or even the 30-year context. Thirty years, of course, is very difficult to do—in principle you should look at it—but you can take a three-year view. BM: Is that your horizon now, three years? YS: We’re trying to force ourselves to, once in a while, have a 30-year perspective in the way we look at risk, even in our strategy plans. From a practical point of view, I think most of the things we’re trying to do are on a three- to five-year horizon. BM: In your 2017 proposal to the Ministry of Finance, you said the portfolio’s 23 currencies should be cut back to mainly three: pounds, euros, and dollars. The point was that, one, there’s so much currency risk in the stock portfolio already, why duplicate that in the bond portfolio? And two, the correlation between, say, South Korean bonds and German bunds is fairly similar already, so there’s no reason to really hold South Korean bonds, for example, or yen bonds. YS: The letter actually talked about how, in reality, we’re a delevered equity-only investor. Because although we have 70 percent in equities, not 100 percent, the way we look at fixed income today is very different from when we had the 40 percent equity, 60 percent fixed income. So it’s right then to say, “We’re not going to invest in these currencies for the diversification.” If you really want to diversify in a combined portfolio that’s 70 percent in equities, what actually diversifies your equity is to a large extent U.S. Treasuries—that is, in most scenarios, where you get the most diversification in a market correction, and you will see that that is a safe asset. But it didn’t mean that we would therefore go out and construct the fixed-income portfolio without other currencies. It just said that if your main purpose of the 30 percent is not to look at it as a standalone fixed-income portfolio that is diversified, but to use it as a diversifier for the whole portfolio, then you want to narrow the number of currencies. But we didn’t say that would mean in practice that we would invest in fewer currencies. So it still would mean that our fixed-income managers would probably be investing in roughly the same number of currencies around that. YS: We have completely removed the vocabulary internally about active management. After 2008 we didn’t see that as an interesting concept anymore. From our point of view there is no way to do investment that is not active. You can be more active in tailoring your reference index, or you can be more active in selecting specific securities in the portfolio, but you’re equally active whatever you’re doing. As soon as you start to say, “I want to have X in a specific asset class,” you already have active management. BM: Where are you right now in terms of assessing the role of real estate in your portfolio? YS: We have been investing less in real estate the last two years, hardly anything net-net. We have been selling some and buying some. There are two reasons for that. One reason is we don’t find the real estate market very attractive at this stage in the cycle. But the second thing is more long-term structural. It’s hard to scale up real estate for a fund of our size. It would require a very large real estate organization, and I think one of the most important things we are currently contemplating is the extent to which we are willing to build a real estate organization of that size. Structurally, we currently have 2.7 percent in real estate. If you want to have an asset class that makes a difference, obviously it would have to be at least 5, and preferably 10 percent, and it’s a current discussion on whether we will go there. BM: So you’re saying you could potentially never move up to the 7 percent limit that you have right now? It would be too much? YS: It is one of the things that we’re discussing for the moment. BM: What about private equity and infrastructure? YS: We always said that private equity for us is not an asset class. It would just be an extension of what we do in the equity portfolio. We would have talked about it as nonlisted equities, buying into those large companies that are not yet listed but still traded. Some of these companies—we’re talking about Uber, Airbnb, sort of that—wouldn’t be priced through the day on the stock exchange, but that wouldn’t really hamper us with regard to transparency. In the question posed [in 2017] about private equity, if you read it quite carefully, the Ministry of Finance said that we’re not proposing private equity, but we will be open more for the nonlisted equities, which we already had in the mandate. The [company’s] board [has to state] an intention to go to the stock exchange. So the question that the Ministry of Finance therefore has is, “Can you reformulate that to capture a broader part of the nonlisted universe?” Because the essential question for us is if the listing in itself actually gives us something that is different from something that is still quite a transparent company, still traded, but not necessarily through an exchange. BM: But the idea is that the Norwegian people should be able to see what you’re investing in, and a lot of these companies are sort of black boxes. YS: I don’t think they necessarily are. What if you have a development like you had with Spotify [in April 2018] that was not actually going to the stock exchange with the distributed sale of securities but just started trading? You have to decide at which point you think we should be buying the company. How do we get stock exchanges to realize that an important part of their role is to make it attractive to be a listed company? If the market is continuing to go in the way that it has been going—that the larger and larger part of the universe remains outside the stock exchanges—yes, the stock exchanges have got a problem, but we as investors in the public markets have also got a problem. BM: A lot of companies that don’t go on to the public market, or even companies like Tesla that are on the market, complain about how there’s too much scrutiny on corporate governance issues by investors like your fund. How do you balance those two opposing forces? YS: That is one of the key questions that we’re wrestling with. It’s a question not only for people in the financial market, but it should be important for politicians on a very high level. It’s in everyone’s interest that we have a mechanism to have large companies, which are some of the most important entities in society, being governed and having ownership change between different participants, and that process is put into a format that everyone is comfortable with. So the question is how do you create incentives for companies to be in the public sphere and not disincentives the way that it has, to some extent, been developing in the last decade. BM: Can a company develop better outside the market than on the market? YS: There are aspects that are positive both in the public and private market. And some people are saying that it’s because the investors in the public market are different from investors in the private market. But in reality it’s generally the same institutions, so why should that necessarily be the case? BM: We saw in 2016 that money started flowing out of the fund for the first time. Would going higher than 70 percent in equities be prudent? YS: I think that’s quite possible. We’re looking at this every 10 years. So in ’97 the fund started to go to 40 percent in equities. In 2007 it was decided to go to 60 percent in equities. In 2017 it was decided to go 70 percent in equities. We’re still not at 70 percent. But I’m quite sure that there will be a discussion in 2027 as well. With the larger funds you have a larger buffer. So it is a function of the fund being larger that we have a higher risk tolerance. The government has been taking money out for a few years—not [last] year, we [had] net inflows—but we still have a fund that is probably continuing to grow in the next few years. If the fund actually starts to go down in value, I think our equity share may be reduced. BM: It seems to have worked fairly well for the fund to be within the central bank. Why is there a discussion that you should become independent? YS: If you want to have a really large amount of investment in real estate and infrastructure, etc., it will require a lot more than the 500 people we have today, or 560. And if it’s just too many people, it’s not natural to have it within a reasonably small central bank. BM: How do you see the discussion on the oil divestments shaping up? YS: The question there is do you want to look at this as combined—that is the petroleum wealth in the North Sea plus the fund—or the fund in isolation. If you want to look at the fund in isolation, there’s no reason to remove oil stocks. If you want to look at it as a combined setting, it makes, of course, little investment sense to reinvest in oil. That’s really the most important question. It’s not a climate issue or any issue like that—it’s just a question of being able to look at the fund in this context or in the larger context. BM: Every sovereign wealth fund, every pension fund, has its own set of stakeholders, its own set of obligations to its constituents. Is there a model that you would like to emulate? YS: We have a fund that has at least three purposes: The first one is as a way to just transition the inflow of the oil money, and to that extent it’s just a stabilizing mechanism, so we call it the stabilization fund. Secondly, it is a reserve fund. What happens if the oil price suddenly drops? Can we immediately have funds available for stabilizing the economy? We do, so it’s actually used in that context. In 2008-’09 no one asked a question about the Norwegian banking sector. The funds were available even though the Norwegian banks were very dependent on the U.S. dollar money market. We had all the funds necessary available for the dollar funding if need be. But the third thing is the generational fund. That’s probably the most important part. We generally believe—at least this is the construct—that there’s no one in our generation who has any specific entitlement to the revenue stream of the North Sea just because the revenue is coming in our generation. It is wealth that was there a long time before this generation existed, and it’s wealth that we should protect for our grandchildren and their grandchildren. This is a terrific interview. 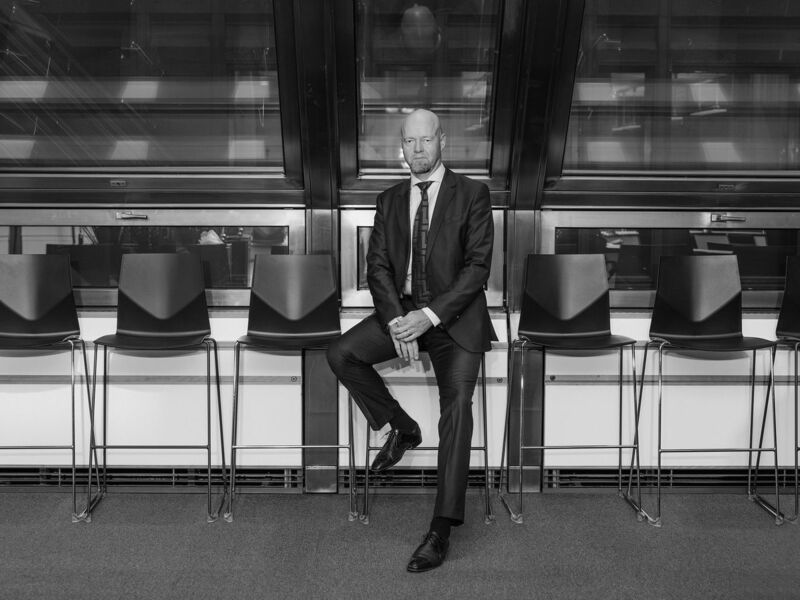 Yngve Slyngstad is an interesting person, he runs the second biggest pension fund in the world (after Japan's GPIF) but it's his background and the way he sees things that I find interesting. First, my most interesting studies were in philosophy. I chuckled when I read this because when I attended McGill University, I majored in economics, minored in mathematics, went on to do a Masters in Economics, but my most demanding and intellectually stimulating courses were in political philosophy during my undergrad years. What's crazy is back then, I used my electives during my first year in undergrad to do all my pre-med requirements, taking a full year of organic chemistry, biochemistry and physiology (I bit off more than I can chew!). But after that first year, whenever I could, I tried to take as many elective courses with Charles Taylor as I could because he's literally the most brilliant person I ever ran across and his courses were always fun and rewarding. In fact, after devouring Taylor's seminal book, Sources of the Self, which isn't an easy book to read, I started reading books by Isaiah Berlin (Taylor's teacher at Oxford and the most briliant historian of ideas of the 20th century), Robert Nozick, John Rawls, Ronald Dworkin, Thomas Nagel, Alasdaire MacIntyre, Michael Walzer, Martha Nussbaum, Bernard Williams, and many more great thinkers of our time. In that sense, I totally understand where Slyngstad's inquisitive mind comes from and his thirst for knowledge. It takes a certain mindset to manage a trillion dollars, you need to always ask the right questions and studying philosophy is a great foundation for asking very tough and important questions. Having said this, I disagree with Yngve Slyngstad's views on the macro economy which I find somewhat indefensible, especially for someone runnning a trillion-dollar fund. It's fine to visit small companies in China, I agree with him there, but you need to get the macro picture right or else you're toast. Talk to Ray Dalio, George Soros, Stanley Druckenmiller and other great investors about how important macro trends are. In fact, forget them, just ask Francois Trahan why macro trends are by far the most important thing to get right when managing a fund, especially a fund like Norway's behemoth which is almost all in public markets. That part of the Bloomberg interview with Yngve Slyngstad surprised me because he seems to have negative biases against macro research. I'd suggest he invests $25 billion with Bridgewater and start reading their research as well as macro research from other great independent firms and top Wall Street strategists (like Francois). After that, you can marry the micro with the macro and make more informed decisions on asset allocation, including regional exposure, sector exposure, and overall stock/ bond weightings. Where I agree with Slyngstad is on his views of US Treasurys as the ultimate diversifier, his views on how Norway's fund is approaching real estate and even private equity, although I take a different view (see below). 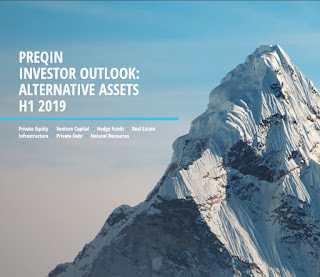 Real estate is a very expensive asset class right now but if it's going to make a difference in Norway's total portfolio, in my opinion, they need to ramp it up quickly to get to a 10% weighting. To do this properly, they need the right partners (the Blackstones of this world) and they need to build a separate subsidiary which only focuses on real estate, like the Caisse's Ivanhoé Cambridge, one of the largest insitutional real estate managers in the world. But the problem right now is valuations. You run into the same problems with unlisted infrastructure. Everything is expensive as the world's most influential allocators all move into private markets, ie., real estate, private equity and infrastructure. Where does that leave Norway's giant pension fund? Well, to be frank, with a giant beta problem, the same problem that Japan's GPIF, the world's largest pension fund, has. It recently announced a loss of $136 billion in the last quarter of 2018, a decline of 9.1 percent. Norway's fund has yet to announce its Q4 results but with close to 70/30 stock/bond split, I can't imagine it will be good. One good thing about Norway's fund, it's very transparent and when returns come out, they will be posted here. I also noticed on its media site that it just announced that a partnership between Norges Bank Real Estate Management and Prologis has acquired six logistics properties in Chicago, Nashville and Orlando. Great move, I covered why logistics in real estate makes great long-term sense last week when I covered Ivanhoé Cambridge's deal with with OMERS's real estate subsidiary, Oxford Properties, to buy IDI Logistics. As far as private equity, I understand why Yngve Slyngstad treats it as an extension of equities and not as a separate asset class but the truth is all private markets require their own specialized teams and maybe even subsidiaries so that you can scale into these assets and partner up with great global partners to co-invest with, lowering fees and scaling into private markets. I don't think Norway is there yet. 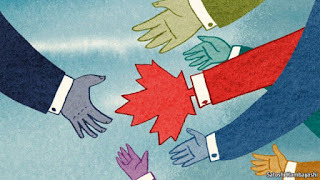 It sounds like they're having the right discussions on governance but it takes time and they're nowhere near where Canada's large pensions are in terms of scaling intelligently into private markets. 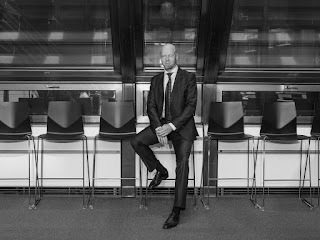 What else struck me from Yngve Slyngstad's Bloomberg interview? His comments on China, admitting it's growing fast and taking a bigger share of global output but also admitting they're underinvested (only 3%!?) in terms of where they should be. However, China makes me nervous for one simple reason, it's still a communist country. It might not be Russia but China certainly doesn't have the rule of law of a UK or Australia. That's one reason why I get nervous when I hear that CPPIB wants to double its allocation to China (through public and private markets). I totally understand why and think this is a wise long-term strategy but it still makes me very nervous. Anyway, that's enough on Norway's one trillion dollar man. Yngve Slyngstad has a huge job and he has done wonders steering this giant shape through very rough waters. Below, Norges Bank’s Yngve Slyngstad discusses the U.S.-China trade war with Bloomberg Editor-In-Chief John Micklethwait (September, 2018). Read more here. On China, Niall Ferguson of Hoover Institution at Stanford and Dan DiMicco, former Nucor CEO, joined 'The Exchange' to discuss what they expect from President Trump's trade policy. Ferguson said China is likely afraid of trade war escalation. Third, Parag Khanna, author of the book "The Future is Asian," joined "Squawk Box" yesterday to discuss how trade patterns in Asia are dominating the global economy. Fascinating insights, listen to his comments on how Asia has increased trade with Europe in light of what is going on in the US. Lastly, Divya Balji of Bloomberg reports on how Japan's GPIF, the world's largest pension fund, suffered a huge $116 billion rout during the last quarter. Can't say I'm surprised, I bet Norway's giant fund did a little better but it also suffered a terrible quarter. In both cases, I'm not surprised, nor am I worried. Everyone suffered a terrible quarter and year last year except Bridgewater, the world's biggest hedge fund and the top-earning hedge fund of all-time. I think Yngve Slyngstad should meet up with Ray Dalio here in Montreal to discuss the limits of capitalism and please invite me so I can furiously jot down some notes.